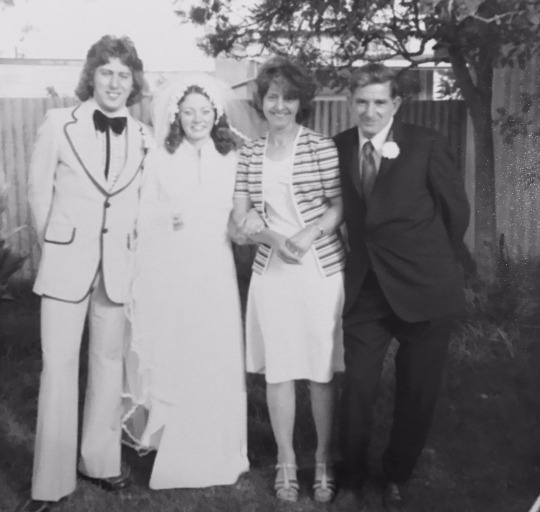 I want to wish a very special congratulations to my parents who are celebrating their 40th wedding anniversary today! My parents’ wedding anniversary is more than a milestone; it’s a tribute to the strong foundation they built for our family. 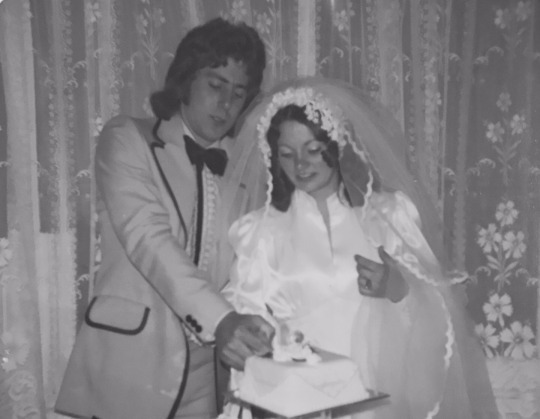 These two met through work and are more in love today than they were on December 18th, 1976. I’ve been incredibly blessed to have a Mum and Dad who have stayed together for so long. Many relationships don’t work out, so growing up with parents who have had such a loving and devoted union has been like hitting the lottery of life. Their constancy has always been there for me to rely on. Their love has always been an example for me. By working to overcome the struggles that all couples have, they not only made each other happy, but they created a healthy environment for my brother, sister and me to grow into the good people we have become. Bryan and Wendy have modeled what it means to be a great parent. Unconditional love and support for one another, and their children. My mum is a beautiful person inside and out. I have many fond childhood memories, when home sick from school she would cook my favourite savoury pancakes and we would watch soapie’s on the tv. I believe she was put here on this earth to be an encouragement and source of inspiration to those who know her. She is a friend to all who know her and its so awesome watching her be a super Nanny to Mason & Khloe still jumping on the trampoline at the age of 60 and always having the time for them. My dad is my hero. He’s a hard worker that has always put his family before himself. I admire him more than words can express or that he’ll ever know. Most of my favorite childhood memories are from going on camping trips with my dad, and eating milk milo. We could never predict the sickness from being succumb to cancer twice. He is the strongest man I know. The sacrifices that my folks have made for us will keep us forever in their debt. I love them so much and I wish them another 40 years of wedded bliss! Often women will sit at their Image reveal and tear up or just drop their jaws and say “Wow! I never knew I looked like that. Millie almost didn’t recognise herself when she seen her sneak peek on Facebook. Millie thank you for bringing your love, laughter and willingness to try something new. It was my pleasure to reflect back how gorgeous you are! The 30 days of beautiful project was created by Wyatt Photography to help women find their beautiful. Each woman will receive my full beauty experience from styling consultation, professional hair and make up to an amazing photo shoot experience. I wanna take you on a journey of self-acceptance and empowerment and allow you to see yourself at your most beautiful and have portraits to remind you of this every day and to feel proud of. 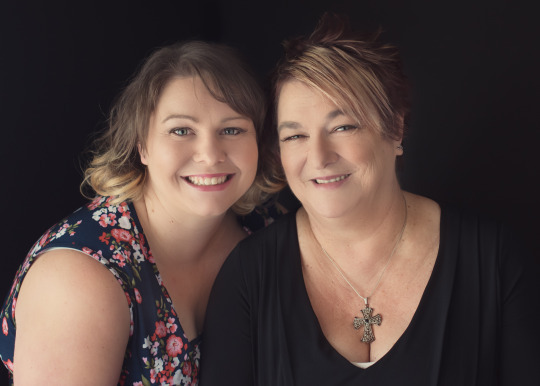 Tina registered for the 30 days of beautiful project because she wanted to give herself and her mum a fun, beautiful and relaxing experience that they could share together. a makeover and photo shoot. Tina is a single Mum she loves that she has created 2 perfect little angels; she believes they are her reason for waking up every day and help to keep her going every day. Her boys make her feel beautiful and she believes beauty is shown in kindness and generosity. The recent separation from her husband has shown that happiness can be taken from you at any moment and she now lives with the focus of being happy and appreciating the time she has with those she loves and if she was to give her teenage self-advice it would be to not worry about what everyone else is doing or thinking. Do what makes you happy and be who you want to be. Tina said the experience made her feel great and she loved seeing her mum smiling and having fun, we truly made her look and feel like the beautiful person she has always been. Follow this link for more of Tina & Lynn’s girl day out. Sheree registered for the 30 days of beautiful project because she wanted to feel pampered, experience the other side of the camera and move forward in life feeling confident. She is a wife, a mum of 2 and is most grateful for her husbands support and involvement in her family! Sheree is a small business owner of S.S vintage and has a stall at the Castlemaine Vintage Bazaar with a passion for vintage clothing, toys and curiosities. Beauty to Sheree is a projection of happiness and she feels most beautiful when she is happy and confident and able to do the things she loves to do. Since turning 40 Sheree had some of the happiest and saddest times of her life but they have all contributed to the great space she is in now. She has had some great experiences in life but her most treasured memories are when her family laugh together, the simple things are something real special. Sheree loves the age she is now and loves that she has the ability to express her creativity. Her advice to her teenage self would be to do what you love and to keep on being that person who doesn’t follow the crowd. Lynne wanted to do something for herself and registered for my 30 days of beautiful project, her family know that she is beautiful but Lynne struggled to see it in herself. 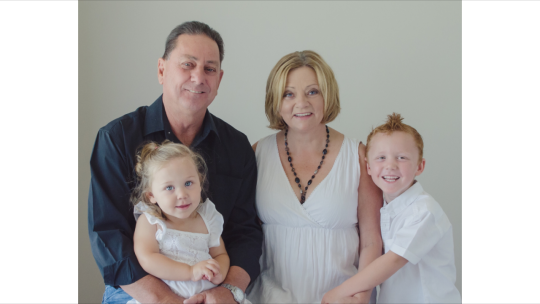 Lynne does so much for her family, a typical mum who taxi’s her kids around, babysits the grandkids, loans out money she is always happy to lend a helping hand and put her family first. It was time for Lynne to feel pampered and to look and feel her most beautiful. Lynne loves to get dressed up for special occasions and have her family tell her she looks beautiful, she believes that inner happiness shows on the outside. There were many beautiful dresses that Lynne brought along with her, you know those special occasion dresses you wear maybe once or twice and they end up in the back of the closet? Yeah I can relate too. 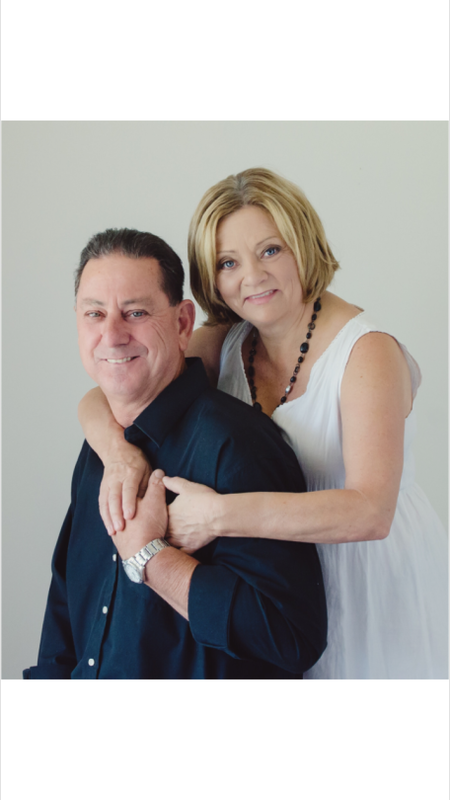 The biggest turning point in Lynne’s life was completing a university degree at the age of 49 alongside 3 of her children. Lynne’s life changed for the better when she became a grandparent and she made a promise to quit smoking and has been smoke free for 2 years. She loves to keep herself healthy and active and loves the feeling that she is appreciated by her children and family. After the photo shoot Lynne was amazed by the beautiful results and she got a buzz from all of the empowering comments on her photos. Lynne is so proud of who she is and her kids are so proud of her for doing the photo shoot the photographs will be a family heirloom. Click on the link for more photos of Lynn’e make over. Leanne told me she had lost 20kg and wanted to see how she really looked in the mirror. 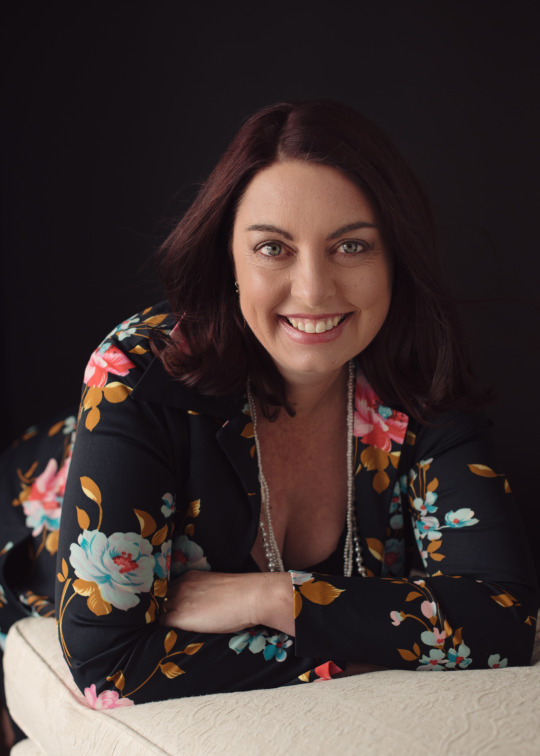 What Leanne loves about herself is her fearless attitude and she believes that women underestimate their own ability and tend not to try things because they are afraid of failure. You may not win or get it right the first time but it’s about pushing yourself outside of your comfort zone to achieve new things. Leanne is 37 years old, she is a wife and a mum to 3 beautiful girls and she runs a small local business with her husband Matt. It was just 18 months ago that Leanne started to put herself first and start to look after herself so she could be the best role model to her girls as she could be. Leanne was overweight after having her children and she was unhappy in her clothes, she felt unattractive and the thought of shopping for clothes made her shudder. She knew she had to change her diet and get moving but was terrified of failing and what her girls would think. She needed to change her attitude and be fearless, try new things that scared the hell out of her and learning to not worry about what other people thought. 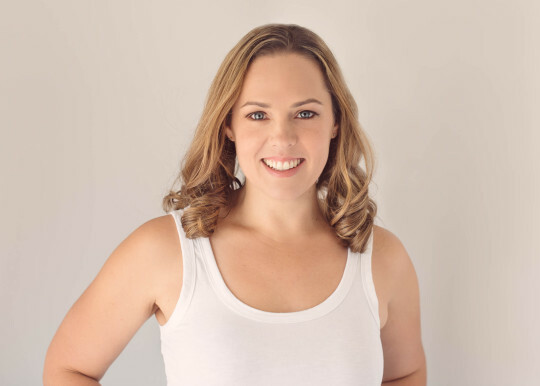 Leanne needed a diet that also fitted with her family she didn’t want to be seen eating differently to the girls because she didn’t want them having body images at a young age. So instead of going on a weight loss program she decided to just get fit and purchased a fit bit and started using a weight loss app. Leanne thought if she could walk 1,000 steps and stay under her calorie count it would have to do something. She knew she was never going to weigh her food that wasn’t her, she just guessed the portion sizes along the way. Leanne had encouragement from her friends and got back into exercise since her first born she hadn’t done much at all. Leanne tried a few things before settling into a boxing circuit followed by entering into the Miss Muddy 5km obstacle race. She knew she would be testing her fitness and she was scared she wouldn’t even finish the race but it was her first goal to work towards. Leanne loved it and she survived and the weight started to fall off her so she kept going and afterwards registered for a 12km fun run, even though she knew she couldn’t run the distance. She had set herself a goal to get the run done within 2 hours, she was out there giving it a go, yes she was the last person to cross the finish line but she didn’t care because at her own pace she completed the course in under 2 hours and achieved her goal she was so proud of herself. Her next goal was the stadium Stomp at the MCG, she was proud of how her fitness level had grown and her goal was to do the full 7,300 steps. It wasn’t until she hit level 4 steps that she felt she was in pure hell but she took her time and made it around the course, it was then that she knew she could do anything she put her mind to. Leanne enjoys the obstacle racing more as it is a mixture of obstacles and running and it challenges her to break through her fear barrier. She realized her weaknesses and where she had to improve to keep doing the obstacles, so she got the courage to join the Cross fit gym where her and her husband train. Leanne continues to set goals for herself and competes in regular obstacle races. She has lost an amazing 20 kg so far and she is teaching her girls that women can do anything they put their minds to and not be afraid to try new things. Leanne thanks her friends, her husband Matt and her girls for their support along the way. Even after the noticeable weight loss she still could only see the old Leanne when she looked in the mirror and it wasn’t until she took herself out of her comfort zone and allowed me to photograph her that she could really see the change in the woman looking back at her in the mirror. 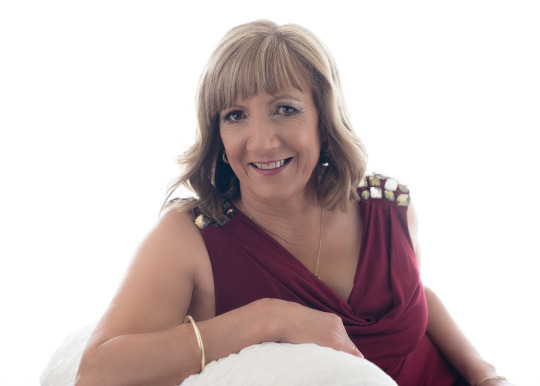 Beauty to Leanne is not about what is on the outside she believes it is everything that makes up the whole person, including their personality, attitude and confidence. She can feel beautiful when she get’s dressed up with her hair and makeup done and she can feel beautiful when she wears comfortable clothes that sit right on her body.